PTSD is a pretty common term in our vocabulary these days. You may hear people talk about PTSD after a car crash, a natural disaster, a life-threatening event, or return from war. But as much as we hear the term, what do we really know and understand about the condition? What is PTSD? And how can we best help ourselves and the ones we love? Post-traumatic stress disorder (PTSD),as defined by the Mayo Clinic, “is a mental health condition that’s triggered by a terrifying event – either experiencing or witnessing it. Symptoms may include flashbacks, nightmares, and severe anxiety, as well as uncontrollable thoughts about the event.” People cannot “see” PTSD like a physical injury. The condition, although invisible, is as serious as any other physical impairment a person may have. The symptoms of PTSD interfere with a person’s ability to function in everyday situations. Loud noises in a city, darkened rooms of movie theaters, or crowded areas of malls or amusement parks are just a few of the potential triggers for a person with PTSD. In some cases, PTSD will surface soon after the event, but for some, the symptoms may not present themselves until years later. The condition may last only a short time (acute) or may be ongoing (chronic). Reliving the event – You experience flashbacks, bad memories, nightmares. Avoidance – You avoid the people or places that trigger memories or avoid talking or thinking about it. Negative or numb feelings – Your feelings about yourself, people you care about, the activities you like, even your community, are negative or non-existent (numb). Hyperarousal — You feel on edge, always looking out for danger, have trouble concentrating, or get angry suddenly, act recklessly, or startle easily. The symptoms of PTSD do not only affect the person suffering from the condition. Families, friends and co-workers are impacted, as well. This can be very challenging for relationships, which may lead to greater isolation, anxiety, and depression for the person suffering from PTSD. Without help, people with PTSD can be at greater risk for other conditions, such as depression, alcohol and drug abuse, eating disorders and suicidal thoughts. Treatment of PTSD is focused on helping the person gain a sense of control over the situation. The most common forms of treatment are psychotherapy and medication. One major concern of treating PTSD with medication is the person’s susceptible state for abuse and addiction. Recently, those seeking alternative treatments to medication have turned to the potential of service dogs. Research shows that service dogs can drastically improve the quality of life for people suffering from PTSD. The potential of dogs to serve people, and in particular veterans, with PTSD is great. Dogs are seen as a source of protection, unconditional love and companionship, as well as respond well to authority and reduce stress. Studies are underway to gather evidence of service dogs as an evidence-based treatment option. 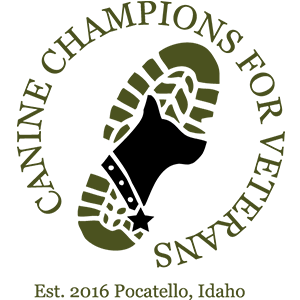 Many organizations, such as Canine Companions for Veterans, are working to provide trained service dogs for the veterans that need them. 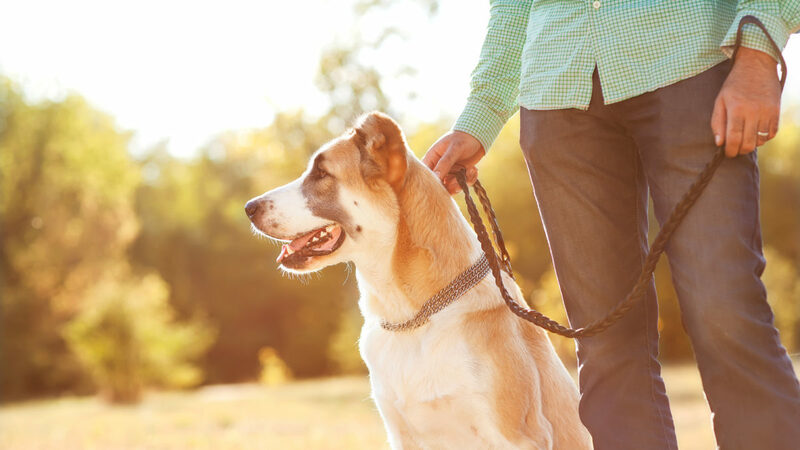 Currently, the U.S. Department of Veterans Affairs (VA) recognizes dogs as being able to have a positive impact in the lives of veterans with PTSD but does not consider these service dogs as an evidence-based therapy. Continued research and advocacy work is underway to show service dogs as an effective treatment option. By understanding more about the question “what is PTSD?” we can better help ourselves and advocate for our loved ones. Reactions to traumatic and stressful events after the event is over is a normal human response. There are no easy ways to heal from a traumatic event, but the loving, consistent, safe presence of a service dog can be a great asset in the journey back to a healthy life.